I wanted a more flavorful crock pot recipe. Sometimes just the basic toss-ins doesn't feel like I am doing much. Regardless that my cream of chicken is my own "Cream of Something" and not from a can, or my Taco Seasoning isn't from a packet. I have really been crocking this month just to free up some time right now, and it's really great freezer food for lunches. I found this little diddy @ The Frugal Foodie Mama. I didn't have all the exact ingredients, see my notes. But this was amazing, it was so flavorful. I wish I made the full amount, I would of loved to have had this for lunch the next day. 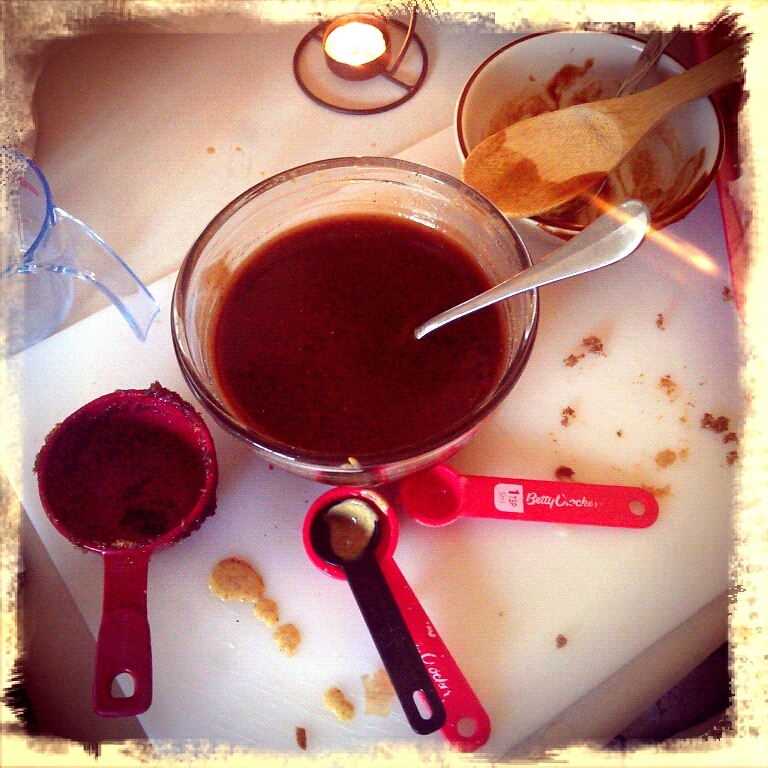 In a small bowl, whisk together the apple butter, brown sugar, vinegar, Dijon mustard, salt, pepper, and apple juice. Set aside. 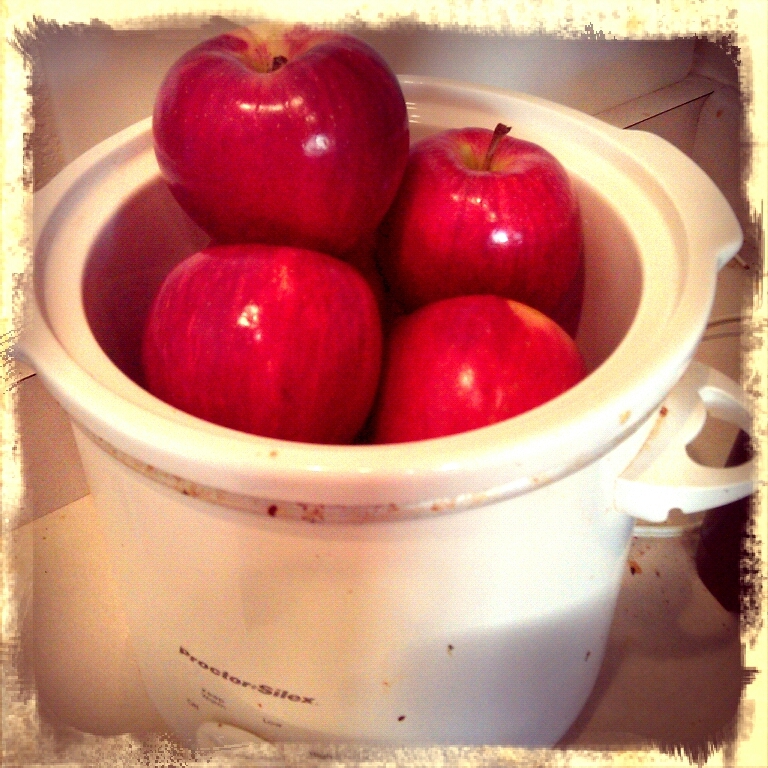 Place the apples and onions in the bottom of the Crock Pot. Add your pork chops on top and then pour the apple butter mixture all over this. * I do recommend using boneless. I cut the bone off mine. Because crock pot cooking makes the meat so tender at you scoop it out the bone falls off into all your goodies. VERY hard to find, and dangerous. ***I didn't have any Dijon, I had some coarse ground mustard. I was posed a question about how to make it all look good. Some times I like to show off and make a presentation of my meal. Crock pot meal are a bit more tricky. I like to first scoop out the extras and make a bed. Then using a slotted spoon to lift the the meat onto it's new bed. If not cooking potatoes in your meal, or you are doing rice you can add to the side or around the extras. A lot of the time I like to shred all y meat and just serve it up with a side of my homemade bread.